"When filling your wardrobe with fine tailoring, consider the occasions for which you'll need options." If your profession calls for made-to-measure, you should be assured of year-round style. When filling your wardrobe with fine tailoring, consider the occasions for which you'll need options. Certain suit colours work for different times of the year and others follow men's fashion trends. The classics—navy, grey, black and charcoal—are staples, whereas men’s fashion colours are intermittent. Whatever the occasion, there's a made-to-measure suit within reach. If you’re a classicist or building an essential collection, traditionally coloured suits are a good place to start for year-round wear. The most-favoured choices remain popular for a reason; great tailoring allows versatility. Black suits are a classic, but best for evening wear. You can’t beat a well-tailored dinner suit, but in the office there’s much more to explore. Darker colours are best in winter, while lighter, more adventurous hues are geared to spring and summer. 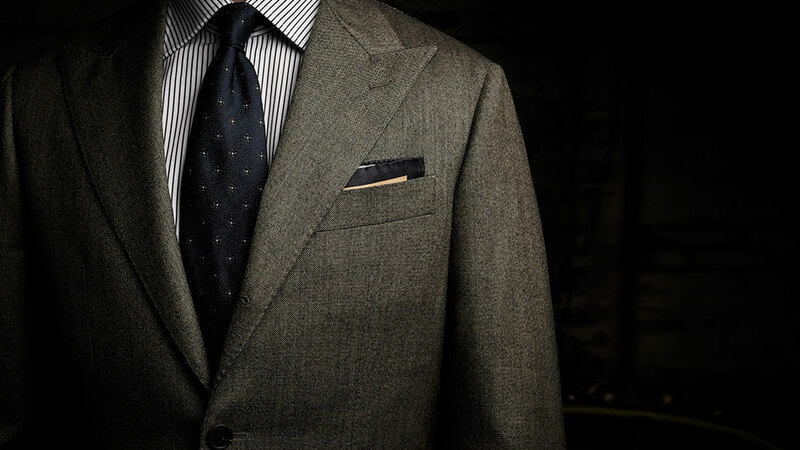 Mid greys look good year-round, but a gentleman should alternate cloth to suit the season. Navy blue looks good on every gentleman, no matter the stature or occasion. Navy is enduring throughout the year and works well in office wear and on days off. Likewise charcoal: it’s a versatile wear with more depth than plain black and the option to experiment with texture. 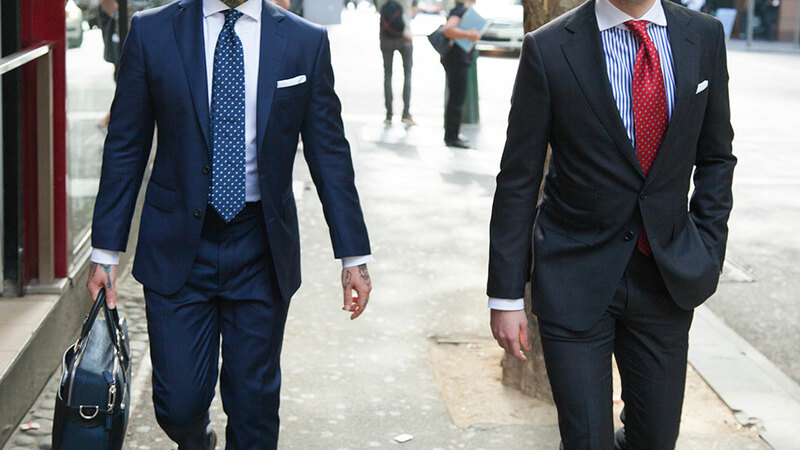 It takes confidence to wear a strong pattern; suits transform when you add a second colour and dimension. All kinds of checks and contrast pinstripes give a different take on classics. Texture and patterns have annual appeal and for a gentleman who must wear suits daily, it offers variety. Certain textured suits can mix with plain garments for a smart look with a little more for the eye to observe. It's important to feel your best each day and tailoring gives you freedom through choice. Tailoring isn’t limited to two or three-piece suits, and sportcoats give gentlemen other options for colour. Orange is a smart choice for casual wear, and looks as good in winter as it does summer. Plain or patterned it can look just as striking in an Italian linen as it can in a wool plaid. Green is another dapper choice when off duty, either town or country. Lighter sage greens are good for warmer months, but soft forest greens are appropriate for all leisure. 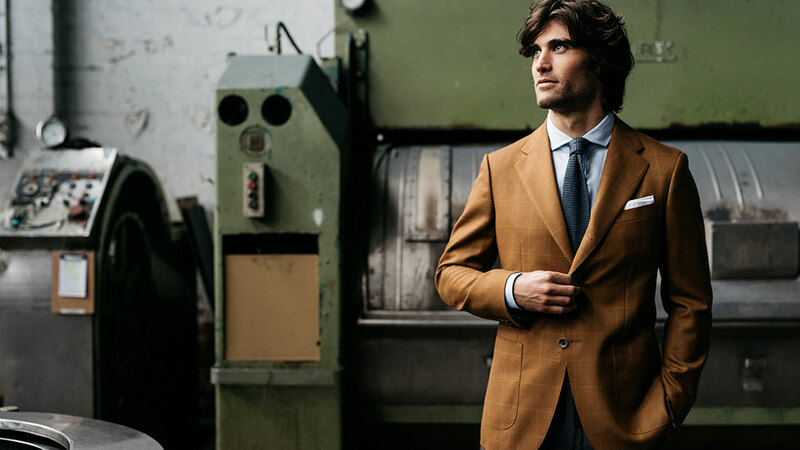 As long as it’s made-to-measure, a sport coat or blazer in warm colours are great all year. A tailor can show you new ways to wear classic colours upon your next visit to our showroom.